Project: Radio Cape Cod's site highlights photos from the film, clips, information about the cast and crew, and quotes from the film! 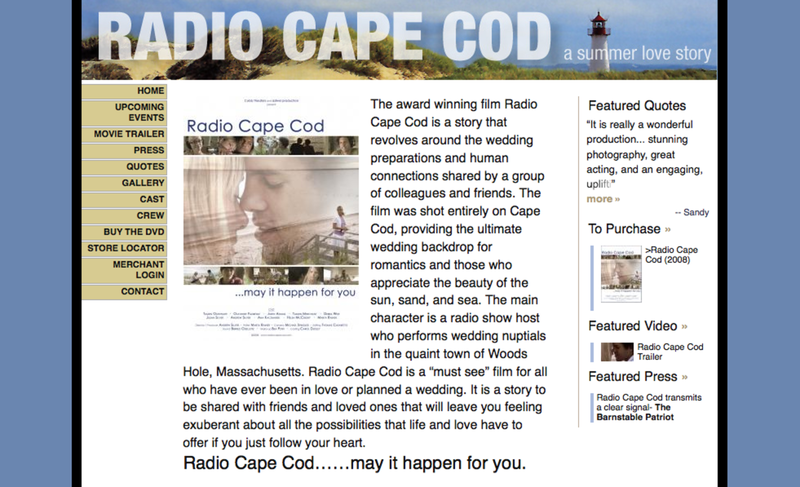 Summary: The award winning film Radio Cape Cod is a story that revolves around the wedding preparations and human connections shared by a group of colleagues and friends. The film was shot entirely on Cape Cod, providing the ultimate wedding backdrop for romantics and those who appreciate the beauty of the sun, sand, and sea. The main character is a radio show host who performs wedding nuptials in the quaint town of Woods Hole, Massachusetts.